Southern Illinois University Edwardsville’s Greg Budzban, PhD, dean of the College of Arts and Sciences, will speak at “A Focus on Educational Assessment: Advancing African American Education” conference in Washington, D.C. on Monday, April 3. The conference will be held at the Keck Center of the National Academies and is designed to address challenges in the K–12 and college admissions arenas. Budzban will participate in the session “Investing in Education Interventions to Improve,” concerning academic interventions and assessments focused on improving educational outcomes for African American students. The invitation came on behalf of the Educational Testing Service (ETS), ACT®, the Center for Assessment, the College Board®, the Learning Policy Institute, and the National Academies of Science, Engineering and Medicine. Budzban became CAS dean during summer 2015 after serving as chair of the Department of Mathematics and acting director of the STEM Education Research Center at Southern Illinois University Carbondale (SIUC). 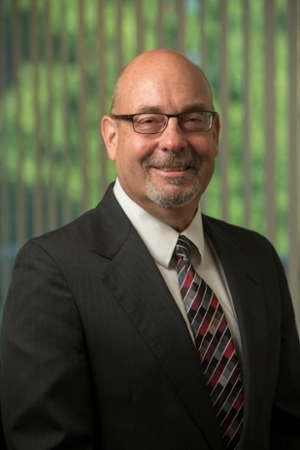 He brought more than 25 years of academic experience, along with six years of professional experience from Martin Marietta Aerospace, to SIUE. Budzban received a bachelor’s in mathematics, a master’s in theoretical computer science, and a doctorate in mathematics from the University of South Florida. Photo: Greg Budzban, PhD, dean of the SIUE College of Arts and Sciences.